On the offchance you haven't seen this yet, I wanted to post this NASA film of the landing phase of the new "Curiosity" rover that's just been launched. I can classify this as sci-fi as it's not due to arrive for another eight months (as of time of writing), and as quite a few probes have been lost on previous missions (including poor Beagle 2) then I feel comfortable we are in the realm of science fiction meeting science fact. Check out this landing sequence using the new "Skycrane" technology - it's nothing short of amazing. And it's all real. I love NASA. The image above gives an idea of how big this monster is. For those of you reading who may be under the impression that space exploration isn't really moving forwards, here's a family portrait of the last three NASA rovers. 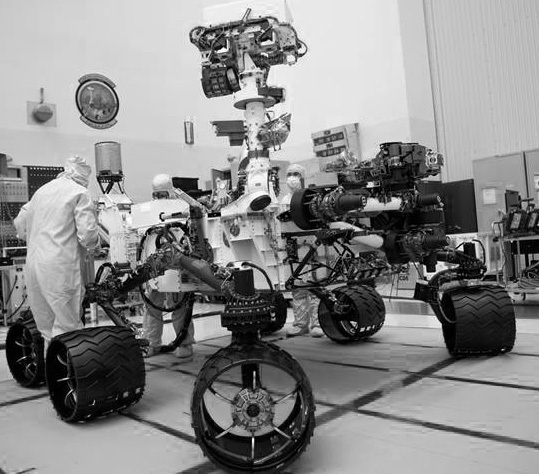 The next flight is scheduled for 2013 and will be delivering to the surface of Mars a Bigfoot monster truck.